If you’re a Fort Collins resident, you’re probably aware of the buzz from a couple months ago when Katherine Heigl was seen in town. If you don’t know her, she’s well-known mostly for her role in Grey’s Anatomy, and her appearances in myriad romcoms during the mid-2000s. 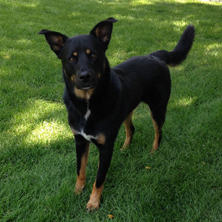 Due to quite a lot of dig work, courtesy of the Coloradoan, it was revealed that she came to Fort Collins on a fairly regular basis to take her dog to the vet. She lives in Utah currently according to this same Coloradoan article, thus, we’re all forced to assume that she comes to Fort Collins for our superior veterinary care. Fort Collins animal hospitals offer these higher quality services because of one major reason: Colorado State University. Because the program is headed by extremely talented, carefully cultivated individuals. The acceptance rate is pretty low. They get around 200 applicants per year, and they admit around 150, but this number varies at times. The average GPA requirement is 3.7, based off of highly specific prerequisite courses. These extremely high standards for acceptance into this program is what ensures CSU remains at least the third best program in the state. They produce high-quality candidates for the national veterinarian market that we have cause to be proud of as a state. Because Colorado is a beautiful state, people tend to stay once they come here. In fact, Colorado’s population jumped by 77,000 people in 2017. If you’ve ever attempted applying for a job in Fort Collins, you’re aware of the highly competitive nature of our job market. This is due to Fort Collins’ #1 ranking in Colorado of people who have successfully attained a post-secondary education degree. That translates to 24% of our population has achieved a masters degree or above and 55% of our population has acquired a bachelor’s degree. This renders our corridor of Colorado a highly over-educated place. 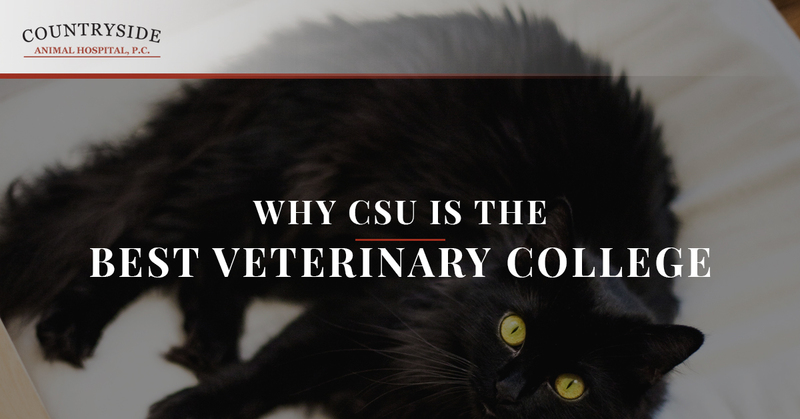 These statistics lend to the conclusion that the majority of people who attend CSU decide to stay in Fort Collins, including our highly-rated veterinary graduates. This means the sort of veterinary care you’re receiving in Fort Collins is easily above the national average. This program was established due to Fort Collins agricultural roots. Our veterinary hospital was established in 1907, which puts our program and history above and beyond the average college. Nowadays, the veterinary program includes clinical skills to help with cure developments for diseases, as well as an internationally ranked exotic pet care program and zoology specialties that render their care completely rounded and comprehensive. 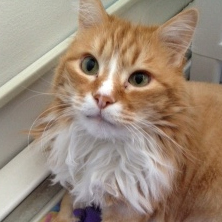 So take advantage of the incredible care you can receive for your pet in Fort Collins. Contact Countryside Animal Hospital to gain access to the attentions of well-educated doctors with degrees from CSU. 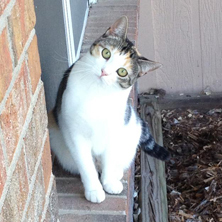 If you’re interested in a particular service, be sure to check them out here so that we can better serve your pet’s individual needs.